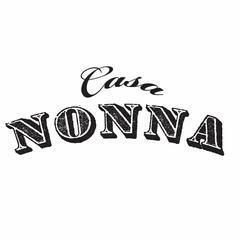 Casa Nonna, which means “Grandmother’s House” in Italian, is as open and inviting as you would expect from our name. Located just south of the theater district, Casa Nonna is our tribute to authentic flavors and quality ingredients that are the hallmark of true Italian cuisine.<br><br>The menu is a culmination of traditional Roman and Tuscan fare, highlighted by fresh, local and seasonal ingredients. From salumi, cheese and antipasti platters, to house-made pastas and wood-fired pizzas, the menu is available á la carte and family style, overflowing with options ideal for sharing. The restaurant boasts a stellar wine list of all-Italian selections, celebrating the quality and diversity of Italian grape varietals as the ideal complement to your meal.<br><br><br><br>If you do not see the position you are interested in listed below, please feel free to send us a resume to: careers@e2hospitality.com – we will do our best to reach out to you if there is a match!